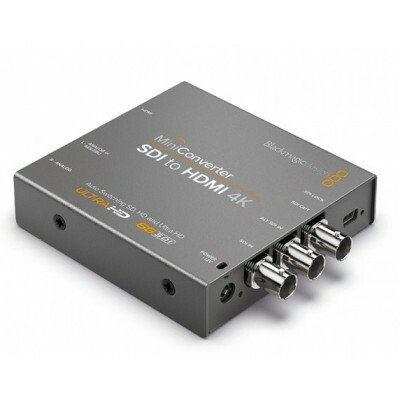 Blackmagic Design Mini Converter SDI to HDMI 4K CONVMBSH4K 6G-SDI to HDMI 4K from Blackmagic Design allows you to convert single link SD/HD/3G/6G-SDI to a single 4K HDMI output. 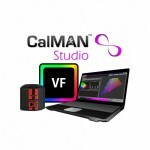 This allows you to use professional SDI equipment which outputs Ultra HD 4K (3840 x 2160) and DCI 4K (4096 x 2160) video signals with projectors and televisions that support 4K over HDMI. 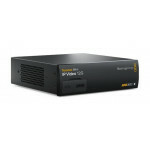 With a compact form factor and easy-to-use controls, the Mini Converter is ideal for a variety of broadcast, post production, and professional AV applications. 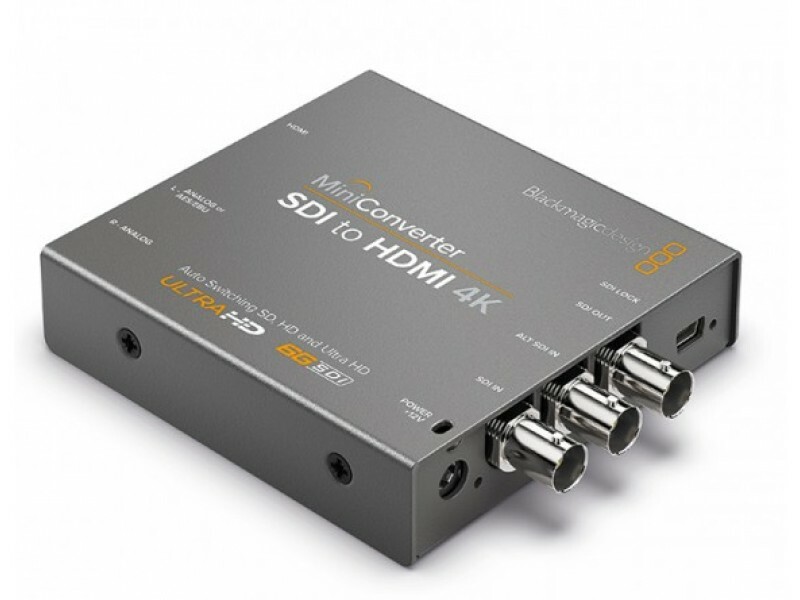 Using 4K HDMI and 6G-SDI technologies, the Mini Converter supports resolutions up to UHD 4K at up to 30 fps and DCI 4K at 24 fps. The Mini Converter also supports single link SD, HD, and 3G-SDI signals and automatically detects the input video format and instantly changes. When connecting to UHD sources and the HDMI output detects an HDTV or HD monitor, the output signal is automatically down-converted from UHD to HD. 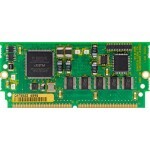 A redundant SDI input is provided as an optional back up, and an SDI loop-through output is available for sending the SDI signal to an additional device. SDI input audio is de-embedded and available via the HDMI output or the 1/4" output jacks as AES/EBU digital audio or balanced analog audio.